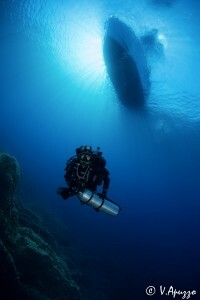 Nautilus Diving Center Sardegna offers the range of Padi TEC REC courses. Technical diving courses in Sardinia with its clear waters, it offers a great way to learn Tec deep diver and Technical Diving Courses. Tech diving has become very popular so we offer the Padi TecRec 40-45-50 courses. 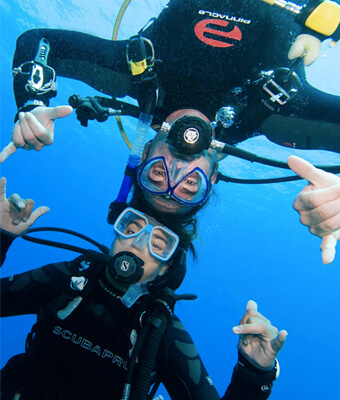 the Tec Deep Diver course is an integrated sequence of three subcourses, Tec 40 Tec 45 and Tec 50. You can complete them continuously, or you can complete each level separately with a time span between them. If you’re interested in Technical Diving Courses, but haven’t yet met the prerequisites for the PADI Tec 50 Diver course or PADI Tec 45 Diver course, you may consider enrolling in the PADI Tec 40 course. It is the first subdivision of the full PADI Tec Deep Diver course. It consists of the first four dives, one of which may be made in confined water or swimming pool. Here in Sardina we have many pool like condtions do great to learn your Tec skills. The Tec 45 course follows Tec 40, and takes your training as a tec diver further and deeper. It is the second subcourse in the full PADI Tec Deep Diver course. So why wait just dive in and prcatice youyr skills more and Dive in Sardinia.